My neighbours came round to help me polish off a bottle of rum last night and we sat in the garden until late before retreating inside to enjoy the fire. Consequently, with rum still coursing through my veins, the perfection of this Spring morning acquired a surreal clarity that was further emphasised by the beauty of the crystalline sky, unsullied by a single jet trail. The eruption of the volcano in Iceland has permitted a once-in-a-lifetime glimpse of the London sky before the age of the aeroplane and although I was never particularly aware of their sound, the absence of this background noise has engendered a powerful eerie silence in the early morning streets of Spitalfields. 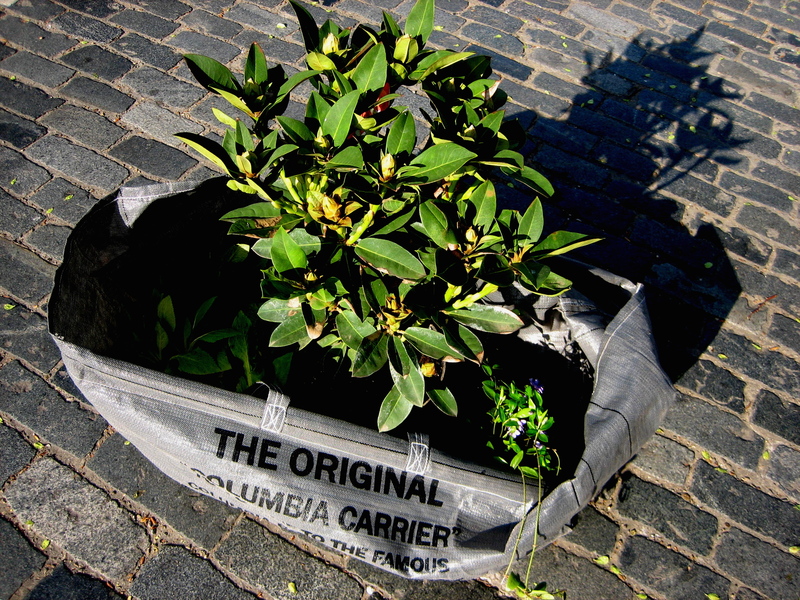 I should have got up earlier though, because Columbia Rd was crammed with excited customers when I arrived, including some wide-eyed folks still dressed in their finery who had come straight from the nightclub to the flower market. Another neighbour asked me to get him a Rhododendron and Foxgloves, so I bought him this sturdy red Rhododendron for £10 and five Foxgloves for £8. 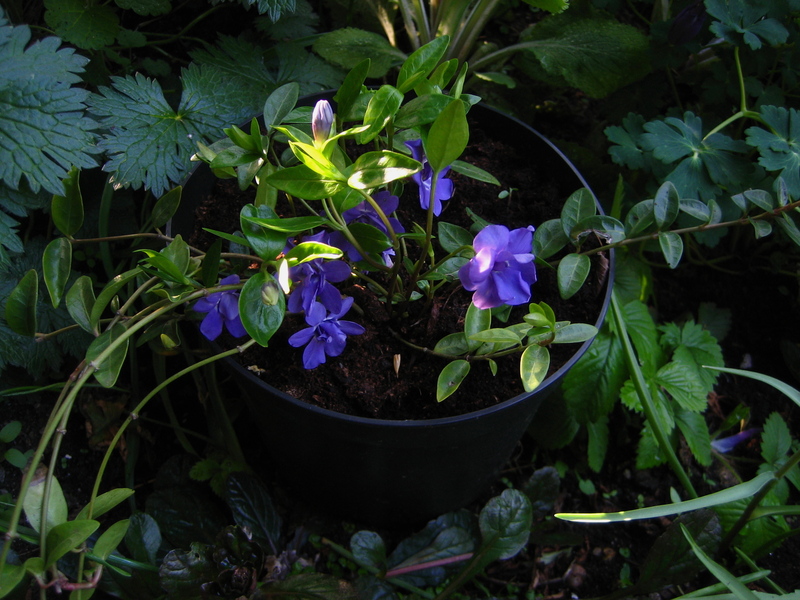 For myself I bought an unusual Periwinkle (Vinca Minor Azurea Flore Pleno) for £4, in a delicate blue with fine double petals, to plant in a shadowy dry corner of my garden, where even Hellebores and Bugle have not made an impact. If it thrives, it can remind me in years to come of these rare silent skies of April 2010. Thank you for this view of that marvelous Columbia Road Market, and of the sky over London today. Of course we had a vastly different sky over New York suddenly in September 2001. For a short few days our sky was quiet, although our downtown view was pretty horific. And then the planes returned, with lots of helicopters, and various flight path changes were tested. The sky became crowded again. £8 for 5 Foxgloves ! With the hundreds that self seed in my garden I have the chance to get very rich. Keep up the good work. You could become the foxglove millionaire, Gary! I’m loving the carrier bag too!